Does your company need to send goods, products, samples, gifts etc.? Or do you personally need to sent gifts, personal items etc.? Courier Copenhagen can help you send everything to anywhere in the world. Fast, easy and secure! We specialize in express delivery worldwide via our partners. We offer you overnight delivery to many destinations or within a few days more distant locations. Just bring your goods to our location at Gammel Kongevej 163, 1850 Frederiksberg C. We work with several different courier companies. Our friendly staff will help you choose which company that will handle delivery of your shipment the best, and the most secure way possible. We offer high-quality shipment worldwide to every destination you can think of – and beyond. We offer high-quality packaging service. We handle your belongings with care and make sure your shipment is secured for transportation. 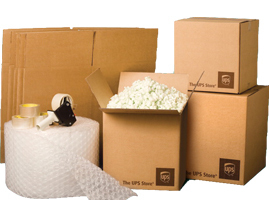 Our staff has many years of experience in handling and packaging and we only use the best packaging materials. Via our partners, we offer secured transportation via air, sea, and road. Our staff is updated on the different rules and regulations for each destination country. We take care of all relevant documentation in order to secure as fast and easy customs clearance and delivery as possible. With the detailed tracking systems provides by our partners, you’ll always know exactly how far underway your shipment is. 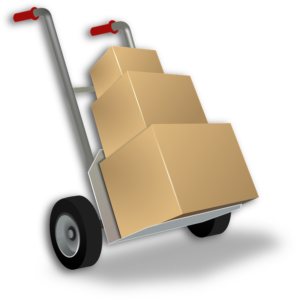 Your belongings will stay with the same courier from the moment it leaves our office, to it reaches its destination. We’ll send you tracking information to your email address and the system will provide you with real-time access to the status of your shipment. You don’t have to book in advance. Just stop by our shop during our opening hours. If you would like a quote before you show up, please send your inquiry by email to info@couriercopenhagen.dk or call us at +45 33257725 and we’ll get back to you with an offer as soon as possible. In order to estimate a price we just need a brief description of the task and shipment (approximately size and weight and destination). Also if you have any questions don’t hesitate to contact us.